Wow, I've never seen vermicelli used like this before- How creative! I made a similar one with poha....add some leftover onions and carrots with the basic tadka. It was soooo yummy. Will try your vermicelli version too. I have been trying to substitute rice in most of my meals. This sounds like a cool and tasty treat! I enjoy cold noodle dishes in the heat of the summer. I love thayir semia. Liked your idea of adding pomegranate/grapes. Shall add them next time. Lovely presentation as usual. just now happened to see ur blog..Its really so good..
all ur recipes are very creative and guess u r an expert in photography.. It's not yet summer and it's already hot here.....thair semiya looks good...i usually add mustard and urad dal for seasoning...your recipe with pomegranates sounds like a cool way to beat the heat. That's really lovely, Suganya! Trust you to elevate an everyday dish to this level! Thanks for the entry. Its interesting to find similarities in our moms...:D..I posted this sometime back and interesting to find it here...and of course your picture looks like out of cookbook...nice entry..looks yummy...that reminds me that I got to make it again! Outstanding! Simple yet so elegant. Lovely picture too! i second sra. love this dish and even curd rice with pom seeds. my mom used to make this adding mustard and green chillies also. I make a pomegaranate raita often with yogurt but vermicelli is interesting. Looks lovely as usual. i love this dish so much. i temper it. yr version looks great and simple. if u don't mind i like to suggest one think. the picture looks great. but the background color needs to be changed. the dish just disappears in to the background. Me too have never seen vermecellie used like this. This is so lovely and very innovative. Great recipe. How refreshing!!! Awesome presentation, as usual! Gorgeous looking. We amke similar thing but with poha and usual tadka but serving this with fruit must b heavvenly. So festive and so beautiful! Heavenly beauties! This would cool one off even in the sultriest summers! mmmm...semiya bath...lovely!! n the presentation is awesome! again a simple dish taken to a whole differnt level becoz of the presentation.. looks lovely !! thanks for the mail. I will get to it this weekend. Splendid Suganya! Have something for you my chow chronicles. You've got a very cool almost high-key pic going there! A little bit of adjusting of the levels and you're there. The bokeh at the base of the stem of the glass at the back is also very pretty! I'm not sure vermicelli and yogurt would have ever enthused me much if I hadn't seen this pic! And, thanks for the info on the grinders! You rock! I really like the sound of this. 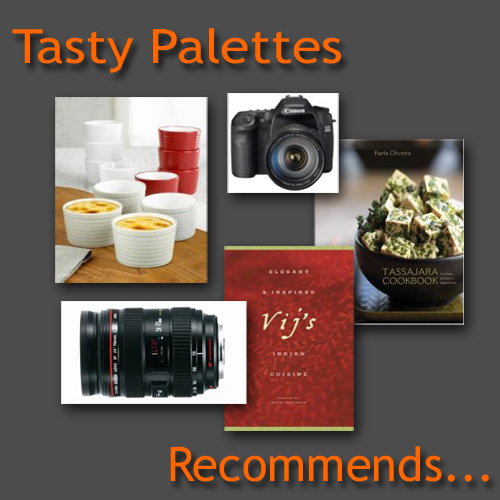 I have some roasted vermicelli in the cupboard, and hope to try this over the weekend. I love the photos. I saw a lot of pomegranates in Kerala recently. They tasted a lot sweeter than the ones that we get here. Ours are quite tart. Just letting you know that I really appreciate your comments about my Siem Reap photos. They meant a lot to me. I have left you a response. Yeah know abt the summer in chennai... yogurt vermicelli would be quite refreshing. came across this long before in MT's blog too. 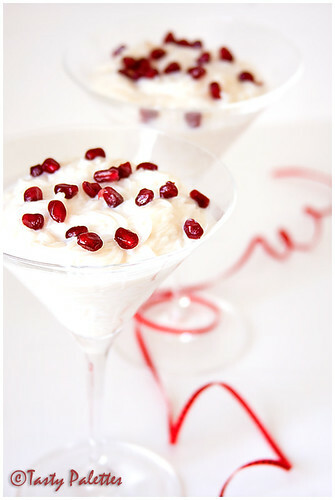 pomegranate seeds in yogurt and vermicelli would sure taste delicious. Yes,Summer is catching up here!.. And your pics are awesome as always... now I know what you meant when you said to add cardamom to the carrot cake :-) Lovely muffin too! And I have yet to try making idli at home... I must try! Lovely presentation!!! Your version looks simple and healthy without oil. Thanks for sharing this recipe. Pic is mesmerizing as always. Tell me, this would be considered as savoury? Wow....a really innovative recipe.I love vermicelli kheer but this looks really tasty. Very "Audrey Harper"... both the look and taste are totally elegant! i love thayir semia. Its one of my favorites during summer as well. Nice pictures. Unbelievably super food blog... burp. Wow... I must have not spent enough summers in chennai. I have never seen/had this delicious looking treat before!